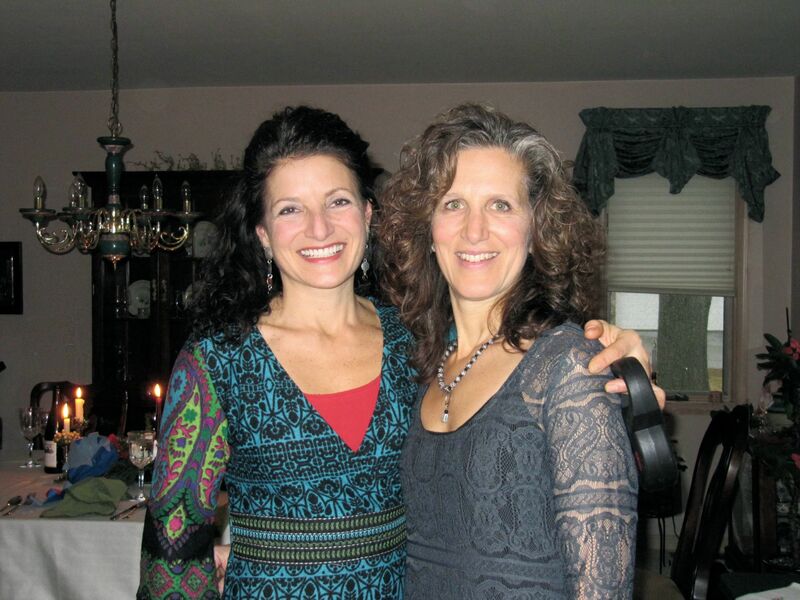 Anita Bondi and Louise Bowman are sisters and the directors of Wellspring Holistic Center! Currently we have two locations: Main Street in Stroudsburg,PA and East Brown Street in East Stroudsburg,PA. Wellspring Holistic Center was originally called The Holistic Arts Studio, and was founded in 1994 by massage therapists Anita Bondi and Jane Ely. It was located at 560 Main Street in Stroudsburg, Pennsylvania. The pair completely remodeled the historic space on the second floor of what used to be one of the Poconos premier banks (First Bank of Stroudsburg), while retaining the integrity of the interior space and honoring that vital part of Stroudburg’s history. The first of its kind in the Poconos, The Holistic Arts Studio presented what was a bold, new concept for the region: combining the offices of a group of healing practitioners with various forms of healing exercises and movement. Thus, the center has been home over the years to a wide variety of practitioners and teachers, including massage therapists, Reiki teachers, an acupuncturist, a group of midwives, yoga teachers, martial arts experts, ballet, modern dance, belly dancing, and many other classes and healing modalities. Jane and Anita created a home for all those involved in the world of wellness. They established a presence in the community and recognition for the emerging field of complementary health. They envisioned a place where healers could come together and share their ideas and our gifts. In 1999, the name was changed to Wellspring Holistic Center, directed by Nancy Olivieri, Kate Roche, and Cynthia Taylor. All three were also involved in the healing arts and carried on the original mission of the space. In January 2006, construction began to turn the former Center into apartments. The center relocated in January of 2006 to 554 Main Street, 2nd floor, Stroudsburg (in the School for the Visual and Performing Arts) and held its original vision for one year; keeping both classes and healing/treatment services in the same location. In January of 2007, the healing/treatment services moved to an excellent new space (and the name at that location changed to Wellspring East) at 243 Brown Street, East Stroudsburg in an effort to connect more to the medical community. Classes continued to be held on Main St. in Stroudsburg, PA.
At the end of 2012 the center dropped the Wellspring East name, created a brand new logo, and the sister team of Anita Bondi and Louise Bowman took over the exclusive job of running both locations. A mission statement was created and a new vision began to take shape.